An Ampyx priscus Trilobite, discovered in Tanssicht, Sahara Desert, Morocco. 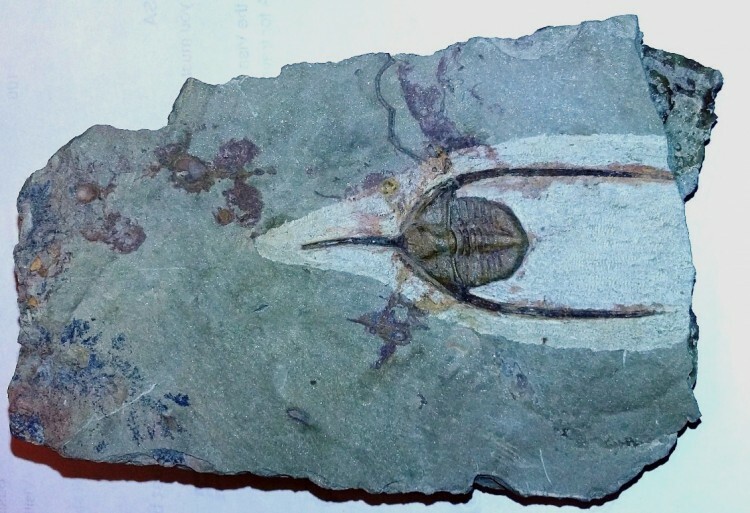 The trlobite dates from the Ordovician Period, 488m to 443m years old. This Ampyx is wonderfully articulated, and shows fantastic detail. 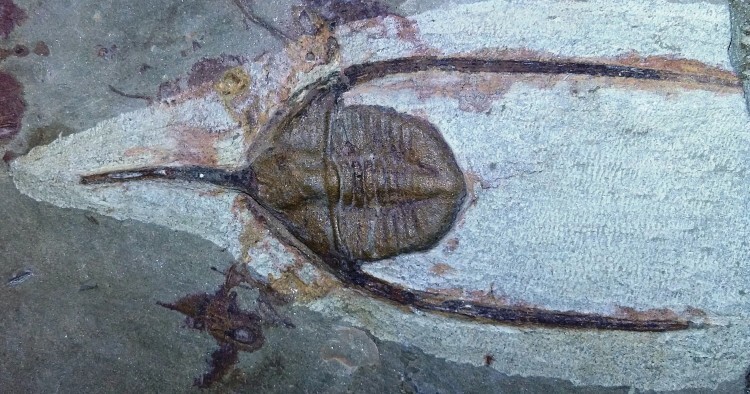 The dark orange colour of the trilobite is in great contrast to the darker matrix. The trilobite is known to have been eyeless, and, therefore, blind.